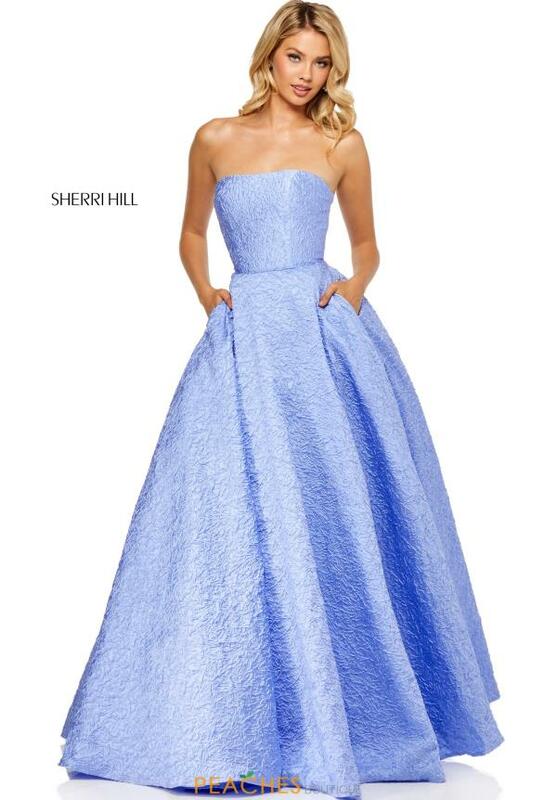 Steal the spotlight at your next social event in this Sherri Hill ball gown 52681. 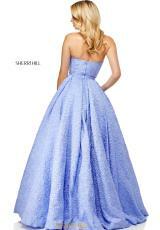 The dress is adorned with a straight strapless neckline along with a fitted bodice that will hug your body beautifully. The a line skirt is made out of a brocade material and will make you look and feel like a modern day princess. Shop for similar dresses like this at Peaches Boutique in Chicago.